Texas death metal quartet Morgengrau are proud standard-bearers for the sinister, retro-infused death metal immediately recognizable to longtime genre heads. Theirs is a no-nonsense, rage-driven onslaught steeped in the traditions of decades past. Five years after dropping their debut Extrinsic Pathway in 2013, Morgengrau are poised to unleash their combustible follow-up full-length Blood Oracle. Surrender to their scathing brand of punishment with an exclusive stream of their new track “Forced Exodus”. At just under four minutes in length, “Forced Exodus” is one of the album’s tightest and most focused tracks. The song is a worthy exemplar in showcasing how intuitively Morgengrau appreciate the foundational elements of death metal, and how deftly they are able to reinterpret them, not as stale imitation as so many others have done before, but as the fertile realization of a readily identifiable vision. On “Forced Exodus,” all four members of Morgengrau deliver with palpable ferocity. Session drummer K Elrod’s pristine performance drives the surging music forward with a constant flood of rolling kicks, blast beats and tom fills, all executed with the utmost precision. J Holmes matches his rhythm section counterpart with a strong bass presence thanks in part to veteran engineer Harris Johns, whose mix allows for plenty of low-end rumble. The twin guitars of N Norris and E Morgengrau snap like demonic whips, perfect complements to the latter’s cutting Cerberus-bite vocal delivery. 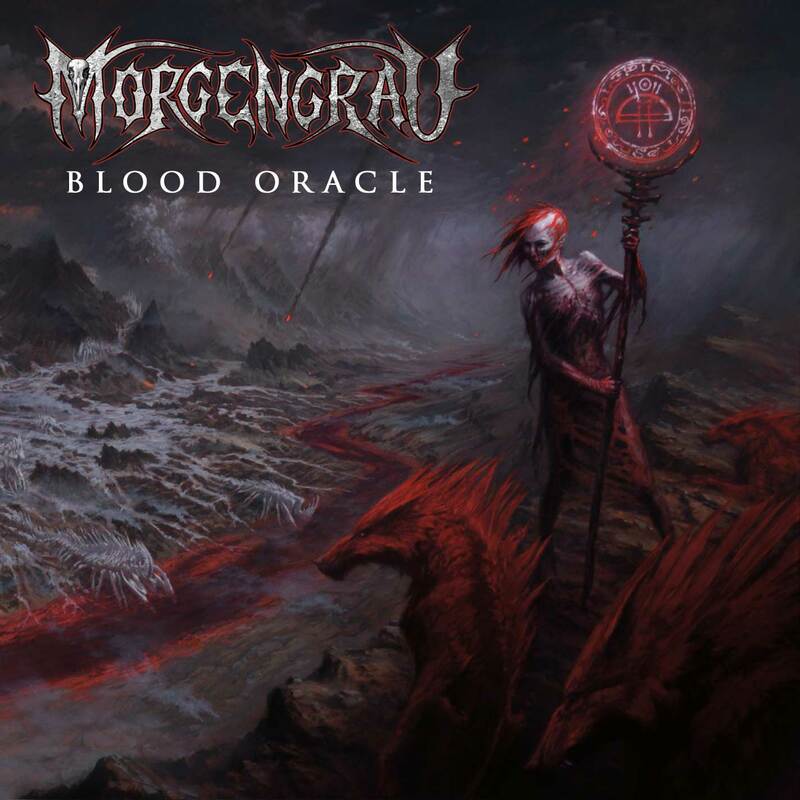 Steamroll yourself with Morgengrau’s second full-length Blood Oracle when it releases on June 22nd via Unspeakable Axe Records, with pre-sales shipping on May 18th. Pre-order the album now on CD and in digital formats, and follow Morgengrau on Facebook.